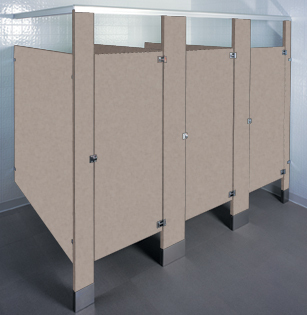 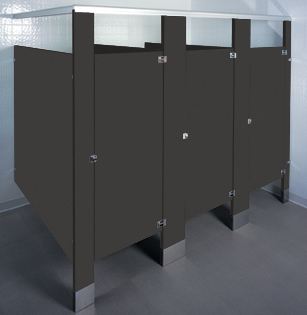 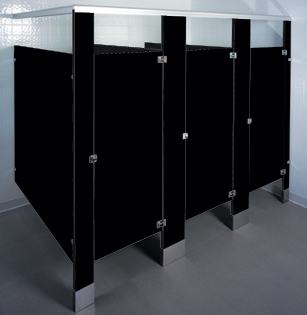 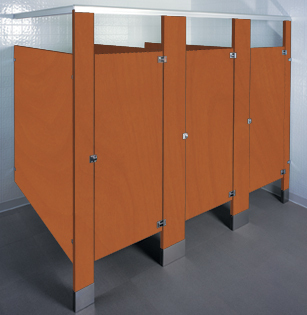 Plastic laminate partitions combine design flexibility with affordable cost. The high pressure laminate finishes, bonded under pressure to a solid impact-resistant particle board core, meet or exceed all NEMA standards. Edge banding of all components prior to face lamination ensures optimum water runoff and durability.